Crawford, Murphy & Tilly (CMT) provided assistance to the City of Aurora, IL during the migration of mapping assets to GIS, while also providing enhanced access via cloud computing. 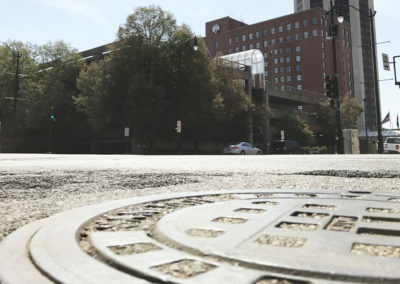 The city maintained its water system mapping within an AutoCAD environment and had already completed GPS surveys of most of its fire hydrants. 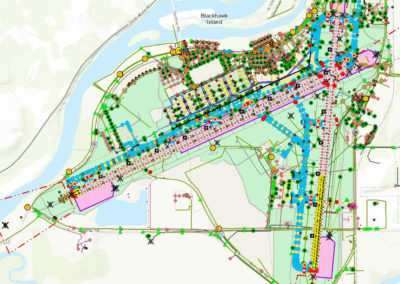 A data schema was established early on based on the Environmental Systems Research Institute (ESRI) Local Government Module to guide the conversion of AutoCAD maps to GIS. This was especially critical in converting pipe diameters in AutoCAD, which were separated by layers. Other data points included, hydrants, valves and other fittings. Quality processes were executed to ensure connectivity of the entire water network. The collection process was two-fold, beginning with high-accuracy surveys of valves and transmission mains using GeoExplorer 6000 series collectors with VRS. Hydrants were captured in previous surveys. 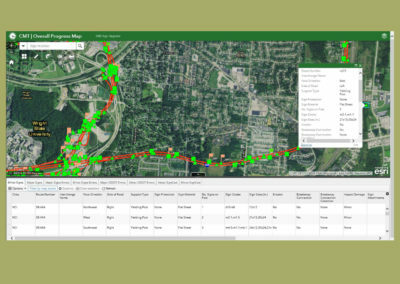 CMT developed a real-time data collection protocol that allowed field crews to collect attribution data using hand-held devices such as iPads©, tablets and smartphones. The usage of an online map server allowed the attribution to populate the GIS database in real-time during surveys. CMT is hosting the GIS in a map server within the cloud which allows secure access for ongoing updates and management. The platform uses a registered Arc Map Server with an Enterprise SQL database allowing the services to be managed over the Internet.